Probably one of the most asked questions in our industry is this basic question – Are natural fancy color diamonds more expensive than their white counterparts? This simple question has a bit of a complex answer – yes and no. In order to properly analyze and compare the two, we will look only at loose colored diamonds vs loose white diamonds, even though the idea remains the same for jewelry. Would you like to test your knowledge before we start? Answer 1 simple question – Which diamond color is the most expensive? Even though that colored diamonds are extremely rare, being less than 0.1% of the number of mined diamonds (some say less than 0.01%), there is actually a very nice selection of diamonds colors with prices that are much more affordable than those of white diamonds. So when it comes to pricing – basic rules of economy apply here as well – supply and demand dictates the prices of the different colors of fancy colored diamonds. In this case the supply is basically determined by the rarity of the diamond’s color and how hard it is to obtain it. When it comes to demand human nature dictates the trend – wanting to have what we can’t and what no one else has (meaning the more rare and extraordinary colors of colored diamonds) along with fashion trends, for example when Paris Hilton was proposed with a HUGE canary yellow diamond engagement ring or when Ben Affleck proposed Jennifer Lopez with a 6 carat pink diamond ring – these two events increased the demand for such diamonds. And that spike in demand caused a temporary spike in prices. However, fashion trends tend to have a short term effect. 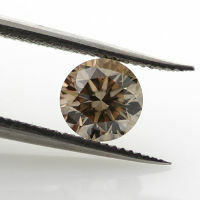 Relatively affordable colored diamonds – Grey, Brown and Fancy Yellow Diamonds. Mid-range pricing – Intense and Vivid Yellow Diamonds and Orange Diamonds. High price range – Pink, Purple, Violet, Green and Blue diamond. 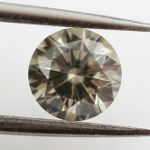 The first group of diamonds, the affordable colored diamonds, actually makes a very good alternative to white diamonds. These beauties, even though more rare and eye catching than white diamonds, will actually cost less (excluding the strong intensities such as vivid yellows etc.). The best way to check it out will be by using existing examples from our site, a pricing battle – Yellow Diamonds VS White Diamonds. 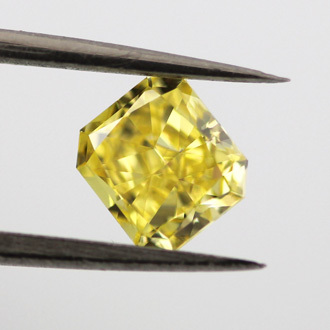 A very nice 1.00 carat Radiant Cut Diamond with G color and VS1 clarity is sold for $5,500 where a 1.00 carat Fancy Yellow Diamond with VS2 clarity will go for $4,500. 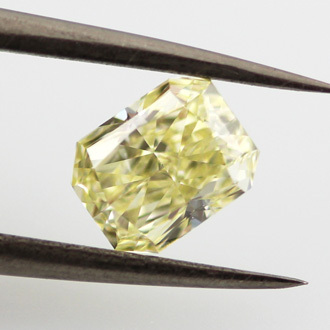 Note that a vivid yellow of 0.75 carat and VS clarity will cost about $5,500 and a 1 carat vivid will easily cost above $10,000. This basically means that you can easily create a unique one of a kind diamond ring or any other piece of jewelry using Grey, Brown (including chocolate and champagne) or Fancy Yellow Diamonds for much less than the ordinary whites will cost you! Now let’s examine the mid-range. The mid-range level of prices may vary dramatically based on the existence of a secondary hue, a secondary color, and the intensity of the color. Pure Orange Diamonds will have an extremely high price tag, not far from the “high level” diamonds. However, in this group you will often find diamonds with a secondary brown or yellow hue which dramatically reduces the price (Brownish Orange Diamonds and Yellowish Orange Diamonds). Still, the range of prices is huge and some diamonds will be cheaper from whites and the others a lot higher. 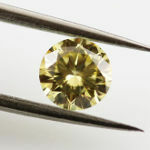 Intense Yellow Diamonds, canary diamonds, are relatively close in prices to white diamonds whereas the vivid yellows are already looking down on them as seen in the previous section. Another advantage you should consider is that due to the darker colors of these colored diamonds they tend to hide their inclusions quite nicely. This means that when considering a dark colored diamond you can buy a cheaper diamond by settling on the clarity grading whereas on white diamond you probably shouldn’t go below si2 (or even si1). 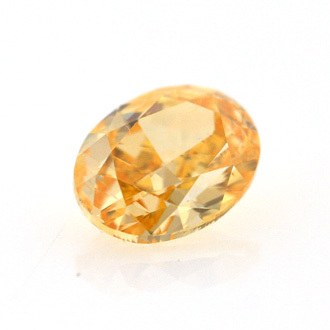 The above deep yellowish orange diamond has a clarity grading of I1 and is completely eye clean. Extremely Rare Colored Diamonds are also Extremely Expensive! This level of diamonds (pink, purple, green, blue, violet and pure oranges) is consisted of the diamonds that are considered the rarest in the world. Colors that we usually hear that are sold through auction houses for millions of dollars. 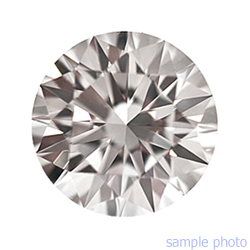 The price per carat base line is in the tens of thousands of dollars and any improvement in attributes such as bigger size or stronger color intensity (intense or vivid) and the pricing goes up exponentially. So yes, these colored diamonds are more expensive than white diamonds. However, you need to consider that the effect of a small and remarkable colored diamond from this group goes a long way. 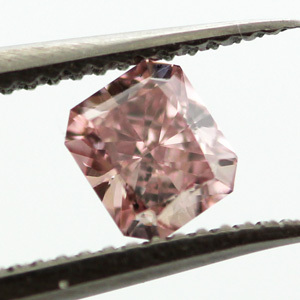 A small intense pink diamond, even a quarter of a carat will probably be more eye catching than a 1 carat D, VS colorless diamond. So it’s true that these colored diamonds are more expensive when compared only by carat weight and clarity grading but smart shoppers will be able find the perfect diamond within their budget limits. Red Diamonds are the rarest and thus the most expensive diamond color! 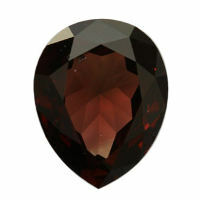 They come only in a Fancy intensity and the color modifiers for them are purplish (purplish red diamonds) and brownish. Pure red diamonds almost don’t exist. The most known red diamond is the Mousaieff Red – a 5.11ct Pure Red diamond. The prices of red diamonds are hard to compare since there dramatic differences between them – even with the same certificate two purplish red diamonds can be in completely different price levels – based on how red is the diamond. Generally speaking, a 0.20ct purplish red can cost about $300,000 per carat and 0.40ct about $500,000. Another interesting fact about red diamonds is that they are so rare that even if the red color is the modifier, the secondary color, the price of the diamond spikes. As you can see in the picture of the reddish brown here which costs $30,000 per carat. No other color has such a dramatic effect as a modifier. Recently, at the 2013 Argyle Pink Diamond Tender, a 1.56 carat red diamond known as the Argyle Phoenix, was sold the over $2,000,000 Dollars. 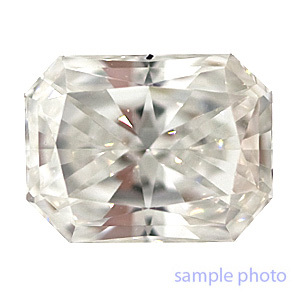 While the exact price was not disclosed, we know that the buyer paid over $1.25 Million Dollars per carat!